The Russian government has approved an agreement with the Republic of South Ossetia that would allow certain military units of the latter nation to become the part of the Russian military forces. The draft of the agreement has been prepared by the Russian Defense Ministry and coordinated with the Ministry of Foreign Affairs and other state agencies. After the government’s approval, which took place on March 7 but was officially disclosed only on March 13, the document was forwarded for signing by President Vladimir Putin. Presidential aide Vladislav Surkov earlier told reporters that Putin and South Ossetian leader Leonid Tibilov intended to discuss the document in detail sometime in mid-March. The document specifies that the soldiers and officers of the South Ossetian units that will be included in the Russian military forces will have to resign from South Ossetian service, and after this will be accepted as contract soldiers for work at the Russian military base in the republic. The agreement specifies that such contracts must be signed on a strictly voluntary basis. Service at the Russian military base will continue in accordance with Russian laws. The agreement also reads that the manning of the Russian base with South Ossetian contract soldiers in required quantities should be completed within six months after the corresponding order in issued by the commander-in-chief of the South Ossetian military. 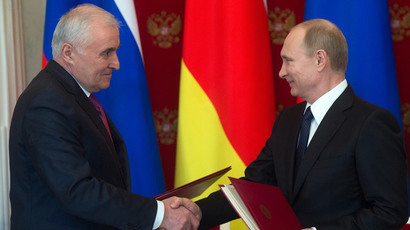 In March 2015, Russia and South Ossetia signed a key treaty under which the two nations agreed to partially join their military forces. Under the same treaty Russia pledged to provide full military protection to its ally, including constant protection of its state border. 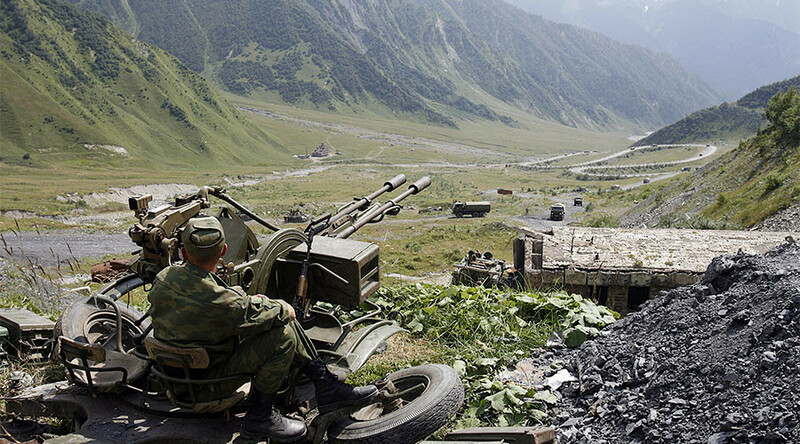 In return, South Ossetia agreed to allow part of its military to join Russian military forces. The treaty with South Ossetia is very similar to the agreement with the Caucasus Republic of Abkhazia signed in 2014 and ratified by the Russian parliament in January 2015. Both republics were recognized by Russia after a brief war in 2008, which took place after Georgia launched a military attack on South Ossetia in an attempt to seize the republic’s territory in violation of ceasefire agreements and despite Russian peacekeepers’ presence. Russia responded within several hours and deployed ground troops, air force and paratrooper units to force Georgia into peace. The operation lasted for three days and ended by August 12. Up to 2,000 civilians and 71 Russian peacekeepers lost their lives in the conflict.